Hello, I’ve just finished a yearly tarot reading on my deck on New Year’s Eve and the Magician card made a welcome reappearance and also the Hermit card is the year’s overall theme card. I’m feeling good about 2017 after the Beast of 2016. Wishing you and your loved ones, a Happy New Year. If you’ve been doing it tough in 2016, I raise a glass to you tonight. Thank you for your support of my writing this year. May a thousand Bluebirds of Joy bring you happiness in 2017. Hello, Happy New Year Greetings. With all the traumatic events happening globally I’ve felt in need of creative and soul inspiration, and so I’ve begun a new series on Tale Peddler called The Eye of the Rhino. It’s from Stella Adler, who said success in the arts requires ‘the skin of a rhinoceros but the soul of a rose’. One observation I’ve made with my creative friends is they are tenacious. Creative success seems to involve a synthesis of Talent, Timing, Tenacity and Luck and it’s the tenacity aspect that interests me. What inspires some individuals to pursue their dreams despite inevitable disappointments along their path? I say inevitable as I’ve observed that even among my more successful creative friends, they have still had to overcome obstacles that you would never hear about on their social media accounts. I hope you enjoy this series and get as much inspiration from it as I do. First up is Anna Romer. I’ve known Anna for many years. I thought she’d be an interesting artist to begin with as she had a long apprenticeship until her success with her book Thornwood House, an Australian Gothic mystery published by Simon and Shuster in September 2013. 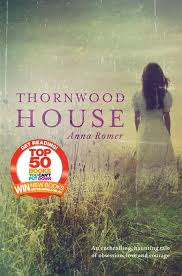 Thornwood House broke though Anna’s years of writing in oblivion and was a bestseller. Anna was a graphic artist and has travelled widely. In an alternative career path she’d have made a powerful energetic healer as she does unforgettable massages (personally experienced). Anna’s a highly individual person and one of the more interesting authors I’ve met. Shunning a lot of technology, she prefers the rhythm of her own imagination and the pulse of the bush that permeates her writing. Lyrebird Hill (her second novel, also an Australian Gothic mystery) was released in September 2014. Anna and I share a love of communicating by letters, Spirituality, Joseph Campbell. I’m delighted Anna accepted my invitation to discuss her creative inspirations for Eye of the Rhino. J – I know your writing path wasn’t a smooth trajectory. You spent many years working on another project which hasn’t yet been published. Can you talk about how it felt to work on that project and what it was like to cross over to the new genre you are working in with Thornwood House and Lyrebird Hill? You’re quite right, my writing path was long and winding – and there were times I was convinced it was leading nowhere. Luckily for me, I’m utterly addicted to the writing process, and that’s what kept me going. One of my great passions along the way was a historical novel I worked on for many years. It was an adventure story set in a time when people were restrained by archaic traditions and strict social laws. My favourite thing about writing this story was developing characters who were feisty and strong-willed, who flouted those laws and went their own way. The research for this project was intensive. I spent years losing myself in books and pictures and movies, drawing maps and diagrams and timelines and, even dreaming about my characters until they felt like dear old friends. I was totally obsessed! Sadly, the plot was very flawed. In my mind’s eye I could see a beautiful, richly-layered adventure story, but I didn’t have the skills back then to pull it into shape. My agent suggested I set the story aside for a while and work on something with less demanding research. So I dumped my beloved project in the bottom drawer with all my other rejects, and went back to the drawing board. I decided my next novel would be set in Australia – a simple mystery story about a woman who inherits an abandoned house. I would throw in all the elements I loved: forgotten old letters, a buried diary, an overgrown garden, and a star-crossed love story. Most importantly, I’d keep my research minimal. Famous last words. Before I knew it, my story had grown convoluted roots that reached back to the 1940s. Suddenly I had a mountain of memoirs and war diaries and biographies to read! I wasn’t really fazed about tackling a completely new genre. Early on I’d attempted to write a horror-thriller (while I was under the thrall of Stephen King), and when that bombed I tried my hand at romance, crime, fantasy. Each of the seven novels in my reject drawer is a different genre! But thanks to the lessons I learned from all my failed projects, I developed a much better grasp on how to structure a novel. I learned that each genre has its own specific requirements; romance focuses on the relationship, while a thriller constantly threatens the hero’s life. And yet the core of any story is the same. I’m a huge fan of Joseph Campbell’s “Hero’s Journey” which explores the idea that all stories – myths, fairytales, and legends – share the same basic components. A troubled character embarks on a quest to solve her problem; she undergoes a series of tests that ultimately transform her; by sacrificing what she wants, she achieves what it is she most needs – and in the process, she becomes whole. This theory sounds formulaic, but I found it wonderfully freeing. Once I started working with it, all other elements specific to genre fell into place. Suddenly my plot was holding together. The characters were making sense. The story had purpose, and because I now knew where I was going, the process became much more fun. J – What has kept you going throughout all the years you have worked away in solitude on your books? What helped to foster your own self-belief in your talent and enabled you to have a rhinoceros skin? I’d always loved romantic adventure stories that changed the way I thought or felt – and that’s what I wanted to write. But my early attempts made it clear how much I needed to learn! The thing that kept me going all those years, was the challenge of somehow achieving my vision. It was like a carrot dangling just ahead of me, always out of reach – but soooo delicious-looking. I wanted to do justice to the stories I could see in my head, and the only way to do that was to develop my storytelling skills. I embarked on a mission, reading every how-to book I could lay my hands on, trying every technique. More importantly, I wrote and wrote. And whenever I looked back over my work and found even the tiniest improvement, a fresh rush of excitement would spur me on. I was never under the illusion that I was a particularly good writer. My self-belief fought a constant battle with my self-doubt. But I really loved learning about plot and structure and character development … I still do! 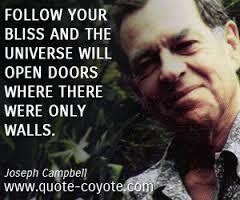 Concepts such as Joseph Campbell’s Hero’s Journey were endlessly fascinating to me. I was like a drug addict, continually seeking my next fix of story know-how. Even if I’d wanted to stop, I couldn’t have. J – Love of the Australian bush permeates Thornwood House. To me, the book really throbs with nature cycles. How important is it to you as an artist to live in the bush in the solitude you obviously enjoy? Could you have written Thornwood House in a city? I’m a huge fan of Diana Gabaldon who wrote the immensely popular Outlander series. Her first book is set in Scotland in the 1600s, and it grippingly evokes the life and culture of that time. I was fascinated to learn that Diana wrote her first book in the series without ever having visited Scotland. I read about how she listened to folk song recordings to hone her ear to Scottish accents. She quizzed experts, and no doubt used her own formidable researching skills to make her story world so believable. This taught me that it’s possible to write convincingly about any location or historical period or life experience – if you do enough research. But for me, as with most writers, immersing myself in a location brings additional insight and depth to that research. I love to sit and observe. I love to drink in the smell of wildflowers, or walk through the bush at night without a torch, or fire off a few rounds from a double-action revolver, or pick up an eastern brown snake so I can confidently describe the fine velvety nap of its skin. Besides all that, I’m the sort of person who thrives in a natural environment. If I spend a lot of time in town I get frazzled; there’s too much sensory input. My brain likes wide open spaces, and the sound of wind in the trees, and the pebbly smell of the river. I need to be among those nature cycles to understand them and allow them to permeate me. I know I sometimes get carried away with my descriptions, waffling on about leaves and flowers – but that’s how I write. Without the energy of the natural world flowing through my stories, I would quickly lose my excitement for them. J – Do you have any advice or insight for anybody who is contemplating changing their career and embracing a more creative path? Go for it! 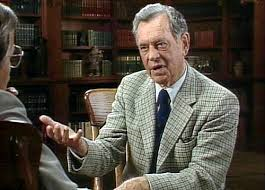 For me, the best advice regarding creativity comes from Joseph Campbell: “Follow your bliss.” If you hanker to paint, then paint; if you yearn to tell stories, then do that. 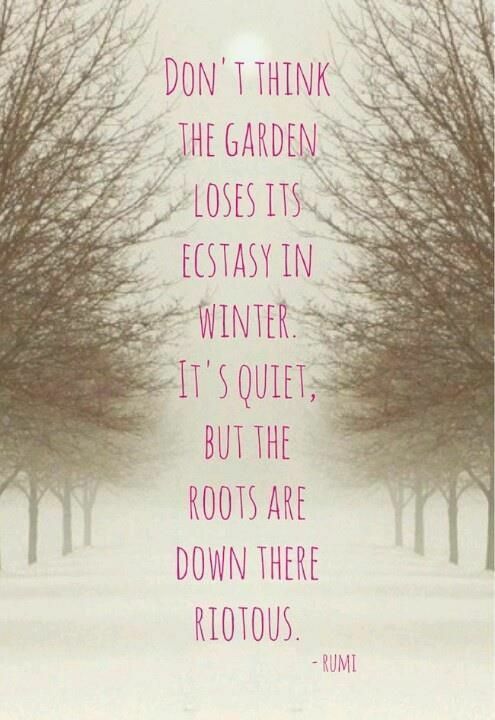 If you want to knit, or cook, or lose yourself in the garden – then embrace your creative yearnings with a full heart. Invest a lot of love into what you do, and don’t worry if you have to spend years working other jobs to support it. Walking a creative path is not always easy, but it’s a worthy challenge. Your life will be all the richer for it. And if it makes your soul sing, what is there to lose? Anna Romer, Josephine Pennicott and Anna’s sister Sarah who looks after her social media presence. Lucky Anna! J – I know you don’t have a very active online presence; although you’re blessed with a sister who maintains your Facebook page. What is your take on social media for artists? I’m certainly blessed with a wonderful sister! In fact I have two wonderful sisters who rave about my books to everyone they meet – lucky me! Sarah saves my poor old brain cells by managing our social media page, which allows me to focus more on my writing. I find the energy of the Internet disrupts my creative flow. I get jittery when I’m online, and afterwards my thoughts feel quite scattered. For inspiration to flow, I need to be relaxed and centred. As an artist, you have to weigh up the benefits of spending time promoting your work on social media, against the advantages of using that time to develop and layer your work. For me, my stories are simply more important. I don’t consider myself a natural-born talent at writing. I have to work ridiculously long hours, drafting and re-drafting and editing my stories into shape before I’m satisfied that they’re ready to present to my readers. I’m always acutely aware that for a reader, a book is an investment. Not just of money, but of many hours of their time. I want to give my readers my very best, and this requires that I sacrifice nonessentials such as social media. I’m also a strong believer in word-of-mouth – if you hone your craft and put your heart and soul into creating an entertaining story, then there’ll be readers who will utterly love your books … and that’s really what it’s all about, isn’t it? J – Thornwood House has a dark mystery at its foundations. How tightly do you plot your books? Are you somebody who likes to free-fall into the story and allow it to come through you; or do you prefer a more tightly-plotted book? How did writing Lyrebird Hill differ from the first book? I start any project with an enormous amount of brainstorming, researching, and planning where I want the story to go. By the time I’m ready to begin, I have a tightly plotted outline. But when I’m writing I tend to lose myself in the story. I forget all my well laid plans and get carried off by the adventure. Sooner or later I hit a brick wall, which sends me scurrying back to my outline. I replot, work out how to tie up the new loose ends I’ve created, and then freefall back into my characters’ lives. Lyrebird Hill was a very different writing experience to my first book; with Thornwood House I had the luxury of time. Years, in fact. The tight deadlines on Lyrebird Hill gave me no choice but to knuckle down and get the story written as quickly as possible. I didn’t have time to stop and agonise over the plot, or waffle off on tangents. I wrote only what I believed was necessary, and as a result went through a huge learning curve. It was crazy, daunting, obsessive … and bucket-loads of fun! And I think the story is better because of it. J – Are you a notebook person, or a writing online type of person? Do you prefer to draft on paper or computer? I’m very much a notebook person. I usually have several notebooks per novel, which I refer to constantly. I love the tactile feeling of writing on paper – scribbling over words and rewriting, cutting out bits and moving them somewhere else, gluing in photos, drawing maps and diagrams and charts… bliss! Being a visual person, I love the chaos and colours of my notebooks and find working in them a very relaxing way to let the ideas flow. I seem to be sensitive to electronic equipment, and because I spend so much time staring at a computer screen – drafting or transcribing my handwritten notes or editing – by the end of the day I end up feeling very drained. Breaking up my computer time with other activities such as drawing maps or filling out charts in my notebook helps to keep my mind fresh. J – How do you feed your Muse? And what does your Muse look like? I know we share an interest in spiritual matters and so do you use that element of yourself in your writing process? 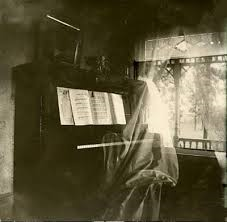 I imagine my muse to be a sort of wild ghost-like creature in photo-negative form. I feed her on a varied diet of books: biographies, history, how-to manuals, as well as fiction – classic, popular, and sometimes downright trashy. She regularly feasts on films and a smorgasbord of music. She responds well to a hot bath, a walk in the bush, a river swim, or some therapeutic opp-shopping! She’s also fond of conflicting emotions, arguments, love gone wrong, betrayal and disappointment – so occasionally I let her binge on one of these as well. I believe that our creative selves are very much grounded in the spirit. For me, writing a book is a magical sort of experience. It requires a lot of trust in yourself to embark upon such a huge task and commit to finishing. And it also requires that you set aside your fears and expectations, and surrender to the process. I spend a lot of time reading books about how to improve the craft of writing, how to strengthen my weaknesses and hone my skills. But I think the success of any creative project really relies on less tangible elements. Instinct, impulse, intuition. It’s exhilarating to connect with your spiritual self and allow it to guide you; to follow those improbable threads of thought that you know will eventually weave something special into the story. I find that when I let go of all the writerly rules that I’ve learned in my how-to books, and instead focus on the pleasure my writing brings me, I can relax and enjoy the process. I trust my muse to guide me, and that’s when the magic really begins to happen. J – If you need to have the hide of a rhinoceros and the soul of a rose to succeed in the arts: how do you see your rhino hide as being? What are the qualities that have kept you going and where do you think you have gained those qualities from? And also ? how would you see yourself as the soul of a rose? What are your more sensitive qualities? I’m probably the opposite – with the hide of a rose, and the heart of a rhino! I seem to absorb everything around me, as if there’s no filter between me and the outside world. Sights, sounds, smells … are all vibrant and mesmerising, and all too often overwhelming. I pick up other people’s moods, and I’m sensitive to vibes between others. That’s why I’m such a hermit – I need to remove myself from the fast pace of the world so I can reflect and channel my energies into my work. If I don’t, I burn out very quickly. I suppose my rhino hide is really a cloak of determination. It’s the one quality that’s kept me going. Whenever the cold winds of doubt or disappointment begin to blow, I draw my cloak more tightly around me and march on. Determination is a quality I’ve learned from the women in my family – my granny, my grandma, my mum. Incredibly resilient women, who forged on no matter what. I’m blessed to have been close to all three, and the qualities they passed along to me are among my most treasured possessions. Jo, I love your image of an artist’s soul resembling a rose … but mine doesn’t feel very rose-like. 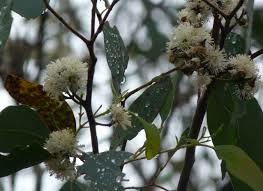 I’d say it’s closer to a stringybark blossom or hakea flower – thrives in the bush, is quietly productive, and mostly drought-hardy! Thank you, Anna Romer for sharing your inspiration with us. Thank you Jo, it was my pleasure. 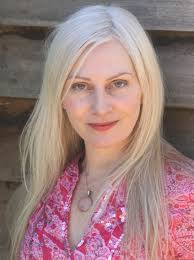 This interview with Anna is part of my Australian Women Writers Challenge for 2015. Sometimes I play that game where I’m asked the five books that changed my life. Although my choices might change (and really every book has left a small thumbprint on my soul) one work did have an influence on my life when I first read it as a young girl in Tasmania – Robyn Davidson’s Tracks. The descriptions of the Australian outback were so powerful and beautiful. I’d never thought of my own country in quite the same way. I felt fearful of so many things and it was perfectly obvious that here was some sort of Athena warrior goddess who feared very little, a young woman who in 1977 trekked 1700 miles across the desert from Alice Springs to Western Australia. Of course there are all sorts of symbolic meanings attached to entering a vast, seemingly empty wilderness. The old prophets entered them for clarification and transcendence. Jesus went to fast in a desert. A desert cuts out all the sensory overload. The vastness of the landscape encourages meditation. But it wasn’t just Robyn’s ballsy guts/madness in choosing to enter the desert with only her camels, her dog, the intermittent visits of National Geographic photographer Rick Smolan and the indigenous Australians she met along her way. It was the authentic raw power of her writing that inspired me. I was fortunate to see Robyn Davidson speak at the Sydney Writers’ Festival last year on a panel interviewed by Michaela Kalowski with Emile Sherman, the producer of the movie Tracks. Actress Mia Wasikowska, who plays Robyn in the movie, was also in the audience. I intended to write this post shortly after the festival I was so inspired and fired up by the three speakers I saw that year, but I was editing my own book at the time and the deadline was forever looming. I’ve been thinking again about Robyn Davidson as the movie Tracks is shortly to hit the big screen. Robyn in person, decades after I read her book is every bit as striking as her younger self in the flesh. Elegant, warm and charming,she described herself as an ‘odd-ball’. And I sensed a kindred spirit when she spoke about how she hated being too connected and never carries her mobile phone and hates answering it. It’s always a relief to find someone as odd-ball as yourself. She talked about how she had offers before for Tracks to be made into a move, but she wanted it to be an Australian film. Could I love this woman any more? She spoke about how the journey she took would be impossible these days as social media would be covering every step. She also expressed her concerns for young people these days as the pressure from social media is so intense. And related a very touching story to do with a reunion with her camels in Western Australia many years later. I had no idea that camels were so intelligent, emotional and had memories like elephants. Robyn Davidson’s early life is gothic involving her mother’s suicide at 46. Robyn is currently writing a memoir about this period of her life. In a recent interview in the Sydney Morning Herald Good Weekend magazine with journalist Amanda Hooton, she spoke about her mother’s death and her struggles over writing the period of her life to avoid the ‘poor pitiful me’ tone. Tracks is a book I would urge every mother to buy their young daughters (or sons) to read as it will hopefully give them a warrior shield in navigating their own desert. It is certainly one I will be encouraging my daughter to read. One aspect of Robyn’s desert trek I loved was that she didn’t do it for fame, or to become some sort of feminist symbol, she did it for the journey itself. In this fifteen minute interview below with Caroline Baum, Robyn expresses her concern about how the desert has been taken over by the buffel grass introduced from Africa has been drastically altering the herbage for native animals and changing the rich palette of the desert itself. I never did have the courage to go into the desert alone. But Robyn Davidson’s book Tracks gave me the courage to travel to India on my own. Travelling with an Australian girl I met in India. Here we are on the Holy Ganges. Prior to reading her book, I wouldn’t have been able to travel to Melbourne solo. My life became richer as a result of her own journey and her ability to express her desert walk with such eloquence. I became a writer – a different type of writer to Robyn Davidson, but one just as inspired by the tone and palette of my own country. It takes courage to embrace a creative life with all of its dips and heights. with a Sadhu in India. I was most grateful I had the chance to say this personally to Robyn Davidson at the Sydney Writers’ Festival. In the next couple of months, I shall post my panels that I experienced with UK writer Kate Mosse and Spanish writer Carlos Ruiz Zafon. Both of these panels were excellent and filled with inspiration so I hope to share them with you. With another friend I met in India. We are still in touch. Here is a link to Robyn’s panel from Sydney Writers’ Festival. My interaction with her comes towards the end. Yes, Robyn Davidson, you made me feel that I could do anything. If you enjoyed this article and found some inspiration, please share with your online friends. Or leave me a comment to know if you’ve read Tracks. Is there a particular book that sparked some courage within you? I would love to hear from you.